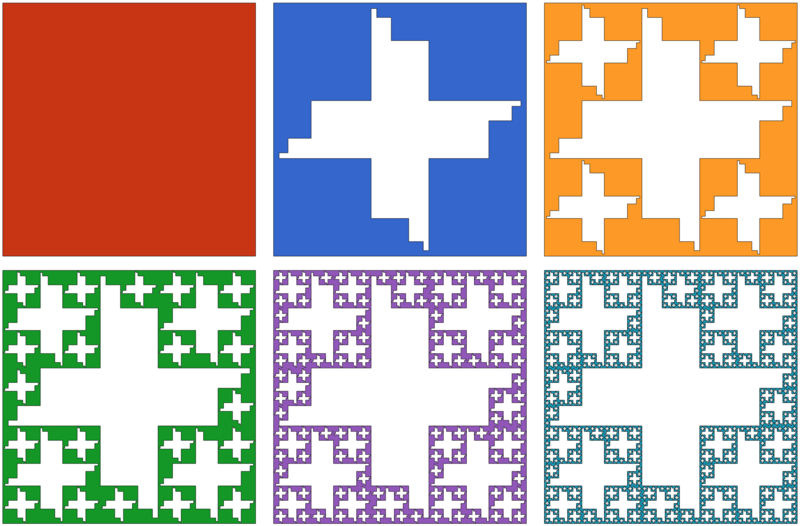 Consider constructing a Jerusalem Cube Fractal. 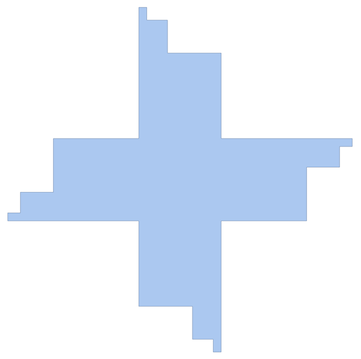 It seems the logic is if there's a square of certain size (dependent on the level) available, then punch out the shape. I did not notice a nice pattern for this, so I took a brute force approach which means this solution most likely suboptimal. First let's get the shape we'd like to punch out. To get the connectivity, I'll import the image and turn it to a mesh. To get the correct coordinates, I'll map the pixel approximations to the appropriate values. Now for the code that looks for valid squares of with side lengths s^lev and punches out the shape. Note that I didn't take the time to refine makeRects or to make it readable. is fully contained within mr (the RegionWithin part). Then it punches out the shape in all valid rectangles. Can this method make the Wallis sponge? Yes, a similar method can.